London - Yaya Toure responded with fury and Raheem Sterling with mockery after manager Massimiliano Allegri and teammates said Juventus youngster Moise Kean shared the blame for racist abuse by Cagliari fans. Toure, who was speaking at UEFA's Equal Game conference at Wembley, said he hoped the Italian football authorities would respond in a determined fashion to the chants and to Allegri's lukewarm defence of his player. Kean, an Italian international, reacted by celebrating with his hands outstretched in front of the Cagliari fans after scoring his side's second in the 2-0 victory. "He is a young man and he has to learn, but certain things from the crowd also shouldn't be heard," said Allegri. Bonucci said the blame was "50-50". "The blame is 50-50 @bonuccileo19," Sterling posted on his story alongside a number of laughing and applause emojis. "I was shocked when I saw that happen and then the manager saying Kean shouldn't have done that," said Toure. "I want to see what the Italian FA is going to do about it. I want to see a response." Jason Roberts, the former Premier League striker who is CONCACAF director of development, said he was shocked at the response of some of Kean's team-mates. "I think it's deeply troubling when you see a young player having to endure what was thrown at him," said Roberts. "What was stark was the reaction of some opposition players and his team-mates, as if he had done something wrong. Who else in the workplace would have to endure that?" "I don't think we are doing enough and the players are having to take the lead," he said. "For that to be the case in 2019 shows we have a long way to go." The negative comments by Allegri and Bonucci to Kean's actions contrasts to the praise showered on Sterling. 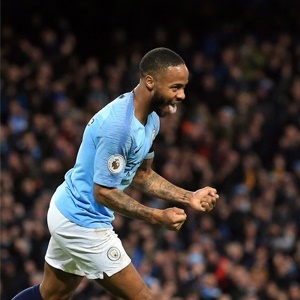 "I was surprised Raheem Sterling stayed so calm," said Toure, a former team mate at Manchester City.